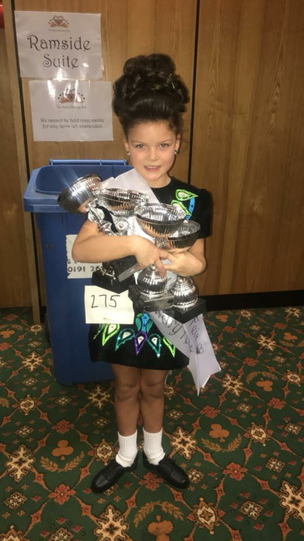 A huge congratulations to Morrghin-Leigh P5 who won 4 firsts and a second in her latest Irish dancing feis! She travelled to Newcastle Upon Tyne with Peacock Accademy of Irish Dance to compete with hundreds of other children. Well done Morrghin! We are so proud!